Two gingers in winter hats holding a heart and the word SNOW. 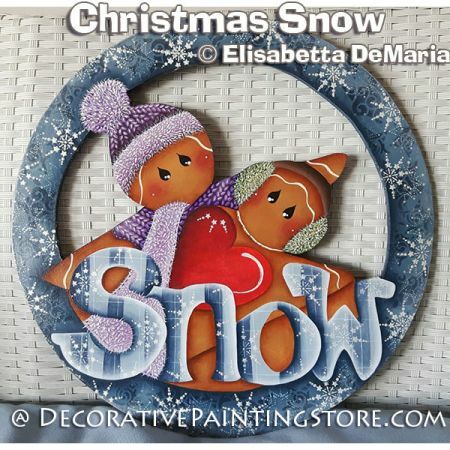 Painted on a 6" round wooden ornament cutout, or you can paint on your choice of surface. Pattern includes photo, instructions in both English and Italian to paint and cut wood, line drawing.